What about your fitness level during pregnancy? Do you need to improve it for yourself and your child? If you’ve just found out you’re pregnant or you’ve been pregnant for some time, you already know your fitness needs have changed. Your fitness level needs to be high in order to be ready for labor and delivery, but you might be concerned about hurting your child. In the past, doctors used to tell women to constantly take it easy in order to have a healthy pregnancy, but that only served to make their fitness levels lower. In modern times, you can improve your fitness level when you’re pregnant, helping you to ready your body for labor as well as protect your health throughout the nine months. Improve your fitness level safety! Before you begin any new program when you’re pregnant, you will need to know your fitness level and talk with your doctor. This way, you will be able to see whether there are certain restrictions you need to keep in mind. If you’ve already begun to research possible exercise routines excellent for your fitness level, bring these with you for the doctor to review. In this way, you can work together to make sure that you're being active in a safe way. Also, you can monitor your progress in the programs and maybe even give your doctor new tools to share with other patients. 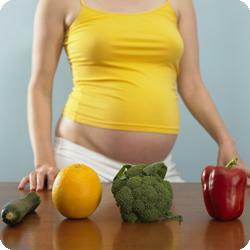 Looking for prenatal fitness classes is the best way to improve fitness level during pregnancy. While these classes might be limited in terms of the activities, they are tailored specifically to the pregnant woman, her needs, and her possible limitations. Try to find one class which interests you and try it out once. This way, you can see if your current fitness level will be sufficient to keep up or if you need to find a class with is more on your level. Make sure to find out your fitness level because now it's the most important for you both. You shouldn't workout too hard or too little. You can try fitness testing tools like Health Reviser's one. Also be sure not enrolling in too many classes as you want to leave some room for rest as well. The best advice for improving your fitness level when you’re pregnant is to make sure you stay active. While others might try to tell you to stay off your feet, the more active you are, the more fit you will be. And the more fit you are, the easier your labor will be. You will also have fewer pregnancy symptoms if you are taking care of your fitness level. Many fit women notice they don’t have troubles with their blood sugar or their blood pressure when they are more active. When you are pregnant, you might be tempted to take the opportunity to rest more than you typically would. But your fitness level will drop, causing labor to be more intense. By taking some simple fitness steps, you can be active and healthy in your pregnancy.